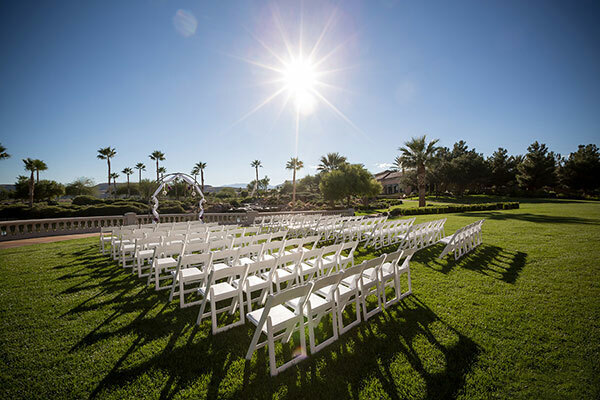 At Siena, the lush and expansive landscapes are the perfect setting for your ceremony with the golf course and Red Rock mountains as your stunning backdrops. Enjoy nature at its finest, listen to the quiet bubbling of our meandering stream and have a beautiful waterfall as your picturesque scenery during your ceremony. The Private Terrace is steps outside the Bistro and is the perfect setting for intimate ceremonies. 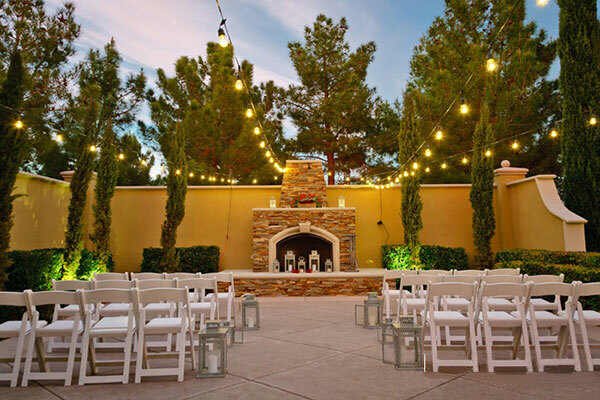 The stone fireplace and cypress trees create a cozy and elegant location for your intimate ceremony. Please view our Wedding Packages to learn more details about what is included in each of our Reception Sites. The Tuscany Lawn is nestled between the Villa Lawn and a babbling, meandering stream. Immersed in nature let the glistening, crystal water be the backdrop for your vows. The Waterfront Lawn sits directly on the water of Siena Lake. 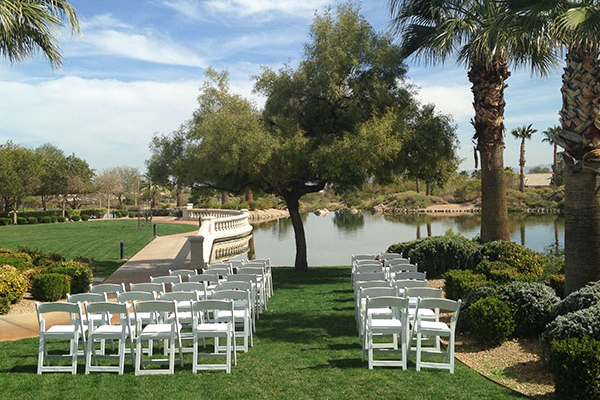 With the curvature of the lawn, your guests will have the perfect seating to have the best view of your ceremony. Slightly shaded at sunset, you will be sure to feel a lovely breeze! The Villa Lawn overlooks cascading waterfalls and the beautifully vibrant Red Rock Mountains. 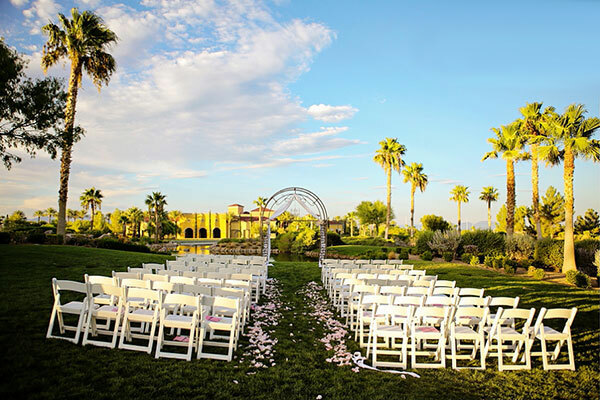 Listen to the soft sounds of the water as you walk down the aisle and enjoy the accompaniment of wildlife including ducks, bunnies, geese, and more!